Shorefire Rocks Down by Downtown! We're absolutely stoked to be a part of Roanoke's annual Down by Downtown festival, featuring three days of live music with shows at venues throughout downtown Roanoke! 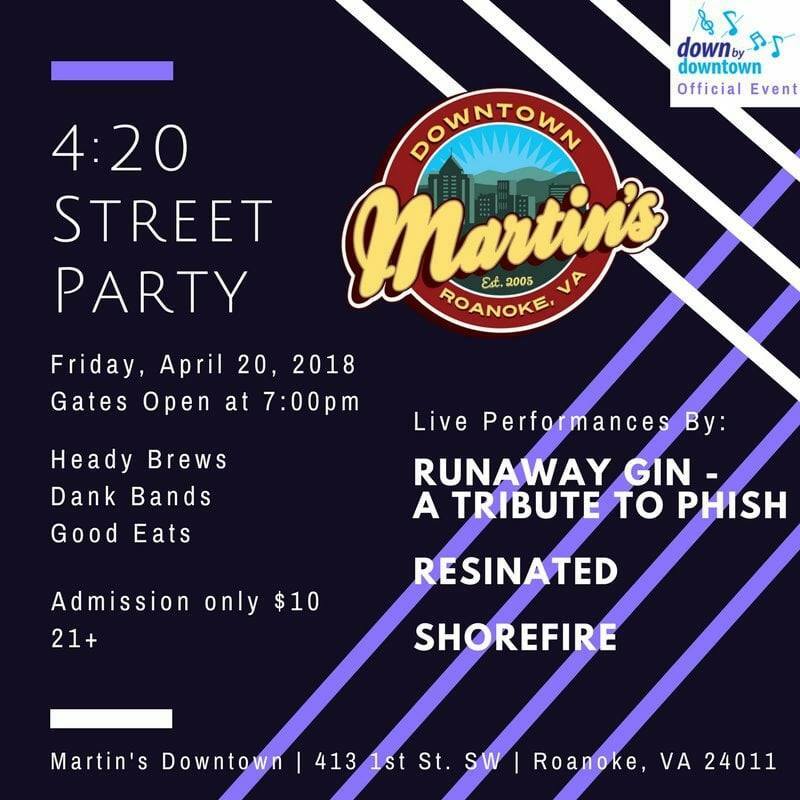 Our weekend kicks off tomorrow night at Martin's Downtown as we close down the the 4:20 Street Party featuring Resinated and Runaway Gin: A Tribute to Phish. We'll be on the inside stage starting at 11:45pm and playing until last call, but the fun doesn't stop there! Saturday night we'll be playing two full sets of music at Fork In The Market right after the the festival headliner moe. finishes up on the Elmwood Park stage! 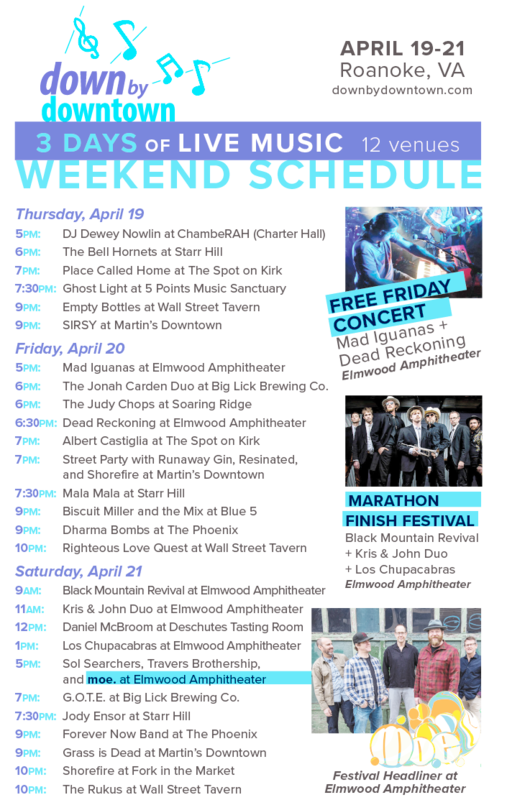 You can check out just some of the Down by Downtown schedule below, but we hope you'll join us for what is sure to be a beautiful celebration of live music in the Roanoke Valley! Down By Downtown gets better every year! It's Time to Shake your Shamrocks!